KATHMANDU, March 10: An interscholastic tournament for Sindupalchowk-based schools titled ‘The Himalayan Games’ was held at Shree Satkanymati Secondary School in the village of Gunsa from February 24-27. 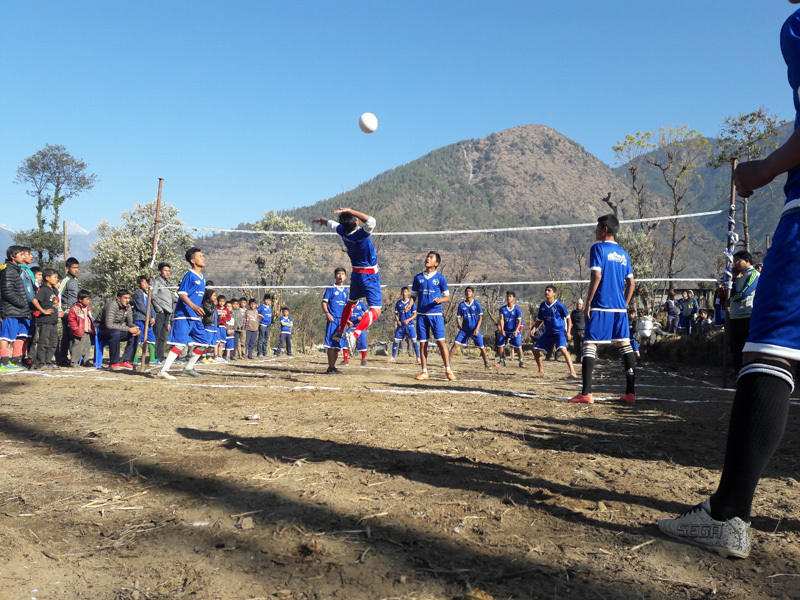 A total of 430 students from 27 community schools from the western Sindupalchowk area participated in the game. The tournament had competitions for 18 different activities, ranging from football to table-tennis to badminton to relay runs. Nirmal Ghimire, District Education Officer at Sindupalchowk, inaugurated the event. Minister of Health, Gagan Kumar Thapa, attended the closing ceremony and distributed prizes and certificates. The Himalayan Games is a biennial event organized by Helambu Education and Livelihood Partnership (HELP), a local NGO. “Shree Satkanyamati Secondary School is one of the eight schools we built in association with Mondo Challenge Foundation in Sindupalchowk after the destructive 2015 earthquake,” said Jimmy Lama, the executive director of HELP.